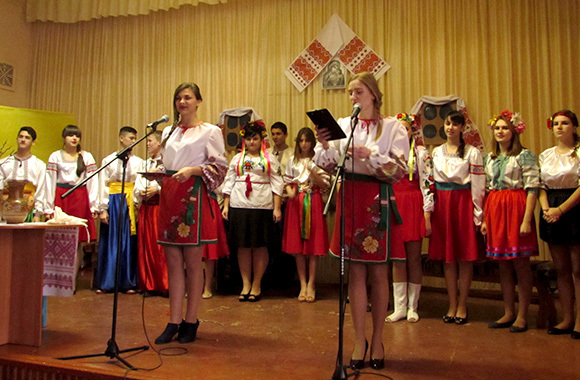 Our university has started celebrating winter holidays with Andriivski Vechornytsi. 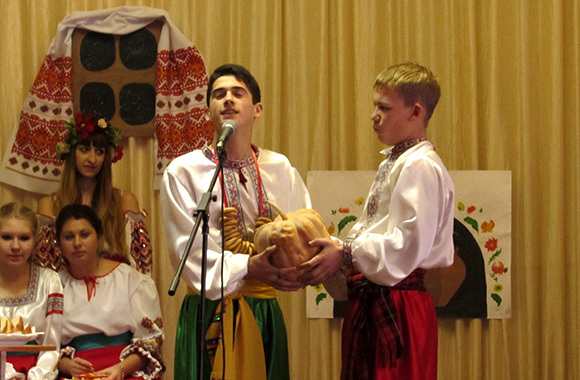 On December 15 the students of Starobilsk Humanitarian and Pedagogical College and College of LNU performed spectacular educational event – Andriivski Vechornytsi. As the phrase goes “The winter comes and holidays provides”. Truly, almost every winter day is a holiday. Winter holidays start from December 4 (the Entry of the Most Holy Virgin into the Temple) when “summer enters into winter”, the second winter holiday is St Andrew the Apostle (December 13) and the third one – Saint Nicholas Day (December 19). All these holidays control human’s behavior and have a kind of didactic meaning. December 13 is one of three important holidays of Christmas fast. 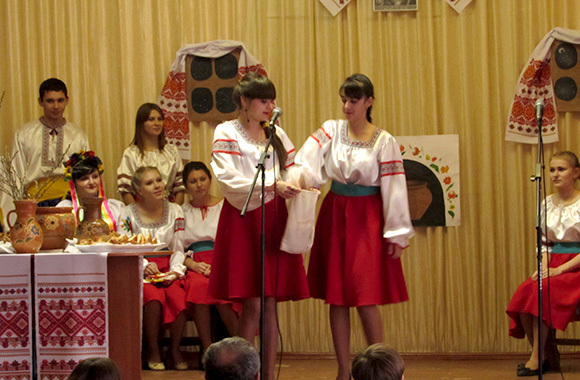 Traditionally at this day the youth were taught different skills, people sang songs, told morality fairy tales and legends which disapproved falsehood and debauch. 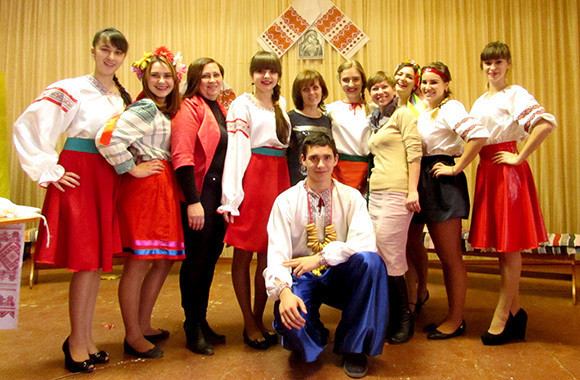 Girls and boys went to vechornytsi to have a funny time, to dance and to sing. Girls knitted, embroidered and read the fortune. 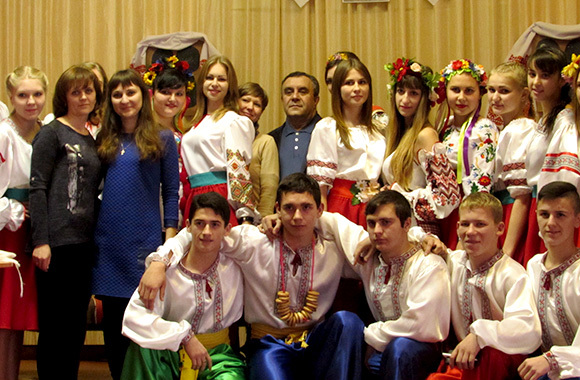 On December 15 the students of Starobilsk Humanitarian and Pedagogical College and College of LNU organized spectacular educative event – Adriivski Vechornytsi. On the stage viewers saw games and traditions of our people – fortunetelling, invocations and rituals. All guests were treated with delicious pies during the event. 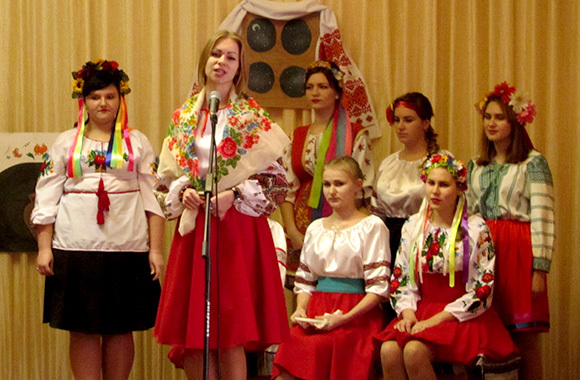 These vechornytsi made everybody feel the treasure of our talented Ukrainian people who have mind, humor, hope and a light of tomorrow.